Richard A. Stoff is the founding president and CEO of the Ohio Business Roundtable, a partnership of the chief executive officers of Ohio’s largest and most influential businesses. Established in 1992, the Roundtable’s mission is to apply the knowledge, experience, and insight of its members to solve Ohio’s most complex, long-term public policy challenges. As Roundtable President, Mr. Stoff has served hundreds of top corporate executives, in bipartisan collaboration with four governors and numerous legislative leaders and policymakers, to foster innovation, improve competitiveness and stimulate economic growth in the state of Ohio. Prior to founding the Roundtable, Mr. Stoff served 18 years in management consulting with two of the world’s largest professional service firms. He was elected as a Partner of Ernst & Young, directing the Firm’s public sector practice in Ohio and before that he served as a Senior Consultant with Deloitte & Touche, working with a range of clients in real estate, banking, manufacturing and health care. 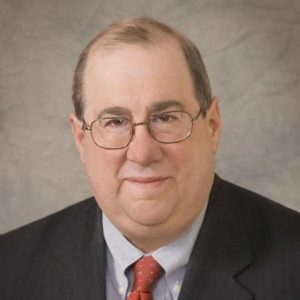 Mr. Stoff earned his BA in Political Science, with honor, in 1972 from Northeastern University and his MPA in 1975 from The Maxwell School of Citizenship and Public Affairs at Syracuse University, where he concentrated in public finance. His wife of 36 years, Carol Zelizer Stoff, is a practicing attorney and received her BS, MPA and JD degrees, all from The Ohio State University. The Stoffs reside in Columbus and are the proud parents of Jenni. Jenni and her husband Sumit received their MPP degrees from Harvard’s Kennedy School of Government.